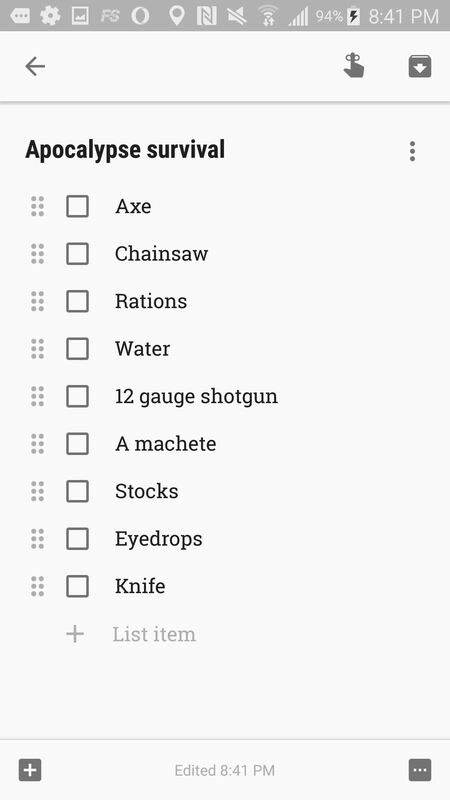 I was able to add new lists for "Target" and "Shopping," and was able to fill them up with items to get, as well as a new list for "Apocalypse Survival." 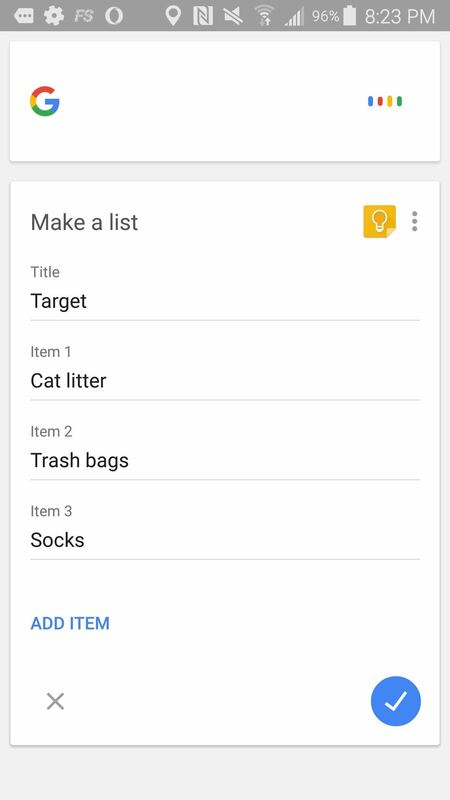 The key to starting a new list is to ask OK Google to "Make a new list for" followed by your list name. If you try to say it a different way, especially for an uncommon list name, you'll probably get a Google search page instead. Once you're done with your new list, just say "done" or "that's all" or even just "finished." 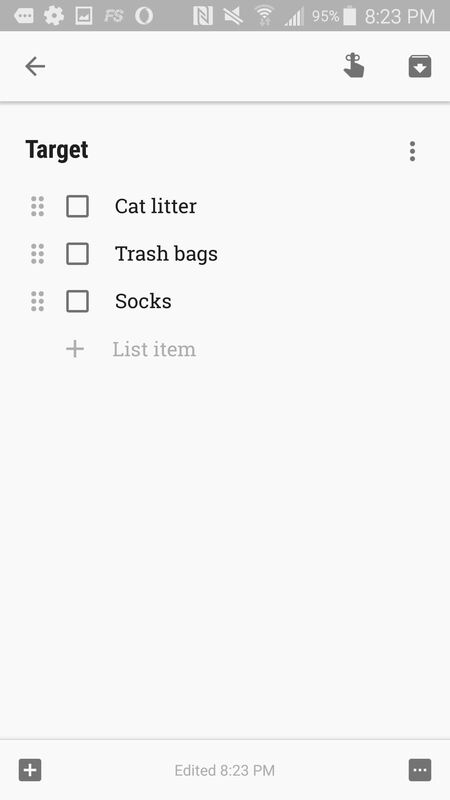 Adding new items to already created lists is fairly easy if it's a common name, but it will still work if you speak clearly and follow the "Add [item] to my [name of list] list" format. 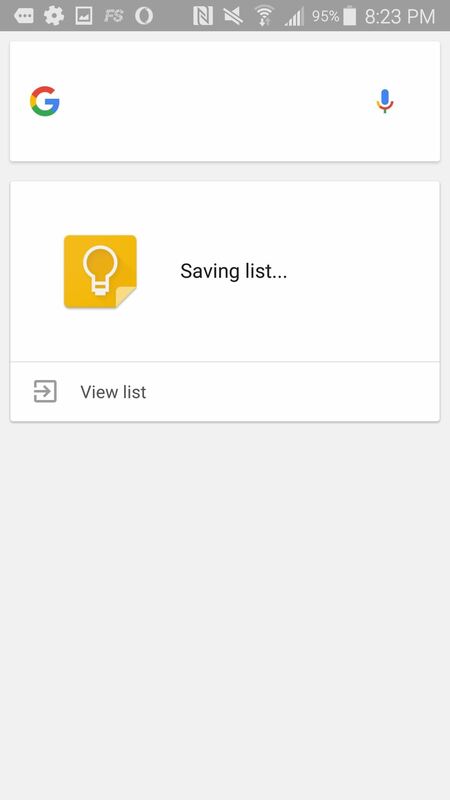 Additionally, if you add to a list that isn't in checkbox format, Keep will convert the note accordingly. 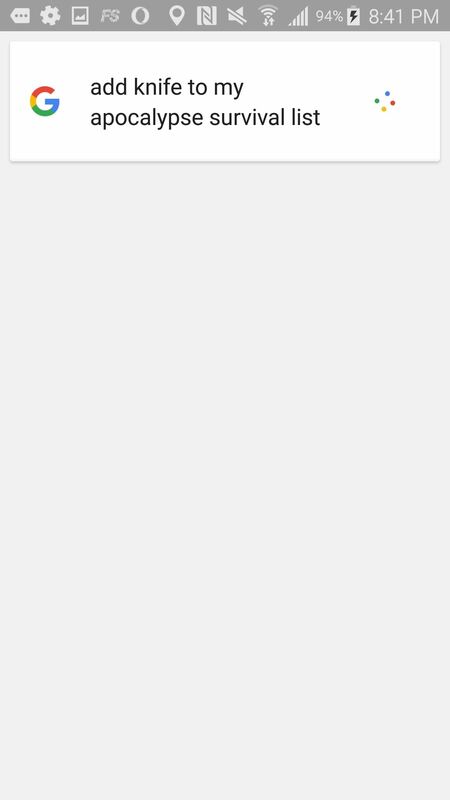 You can also use "OK Google" to leave yourself voice notes, but it doesn't seem incredibly intuitive yet. I started a note titled "Thoughts," then asked "OK Google" to open the note titled "Thoughts." Instead, all it did was record me saying "OK Google, open note 'Thoughts.' " So there's probably a couple of bugs to work out there. Still, with a couple more years of work, apps like this could be fully controlled by our voices, allowing us to do more important work with our hands.